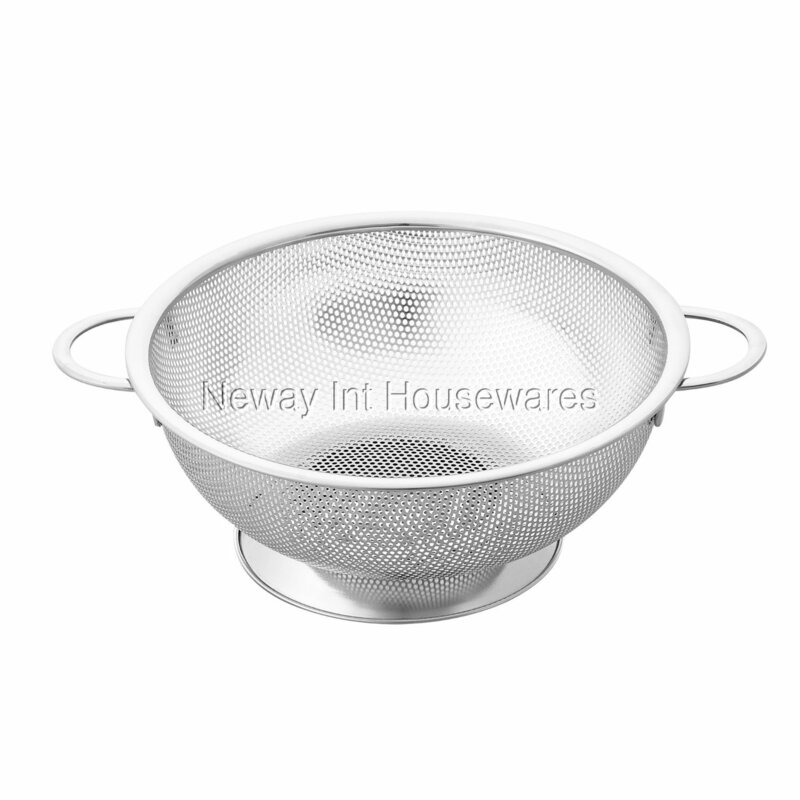 The Cook N Home 3 Quart Micro Perforated Colander, Stainless Steel is made of stainless steel for durability. Fine holes make draining fast and prevents clogging/falling food. Has a solid base to be placed on a flat surface. Loop handles are easy to hold and can be hanged. Dishwasher safe. 5 quart measures: 10.5 in. width and 14 in. length.